The cloths are a little small and are not good for tough clean up.Good for small wipe ups . I bought these today because I had a BOGO coupon. The smell hit me as soon as I opened the canister. I bought the "lemongrass" and the "breeze" scents. I have to say that I found both to be equally offensive. To top it off, the texture of the wipe is almost as flimsy as a paper towel. I have been a Clorox wipe user for the past two years and it looks as though I'll stay that way. Clorox wipes smell better and have a thicker texture. I have two children and have had no problems with these wipes. I will never buy Scotch Brite wipes again. I wouldn't take them even if they were giving them away. I love these!! 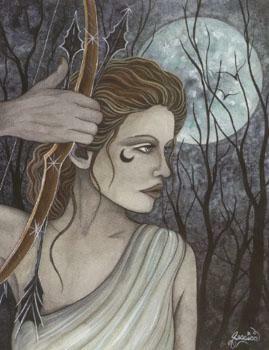 I purchased 4 this past week and just love it. I also love the fact that it's safe around children. So I don't have to be concerned since I have a toddler and an infant. I would highly recommend this product to anyone and everyone. In fact, I actually gave two to my mother and she also was impressed. it is hard to find these at my local Walgreens, so I usually purchase them at K-mart. 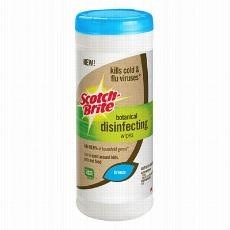 I was recently given the opportunity to review Scotch Brite brand Botanical Disinfecting Wipes in the "breeze" scent. I was excited for this opportunity because this brand states "can be used around kids, pets and food" and states its no rinse. It is also made from botanically pure plant extracts which is also wonderful around kids and pets. The product does clean well, however, does leave streaks on some surfaces such as a stove top. It is a very good product, however, to use in the bathroom, especially since you do not need to rinse the sink or toilet. Unfortunately the "breeze" scent was not so pleasing. It smells almost like a menthol scent. However, the scent does wear off fairly quick. Overall I was pleased with this product and would be willing to purchase, but maybe in a different scent. I would also recommend for purchase, especially if you have kids or pets.